Sometimes with produce, as with people, it’s easy to get hung up on outer appearances . . .
. . . and miss the sweetness inside. I know most bloggers fill their posts with gorgeous food pictures, but this is a different kind of post. 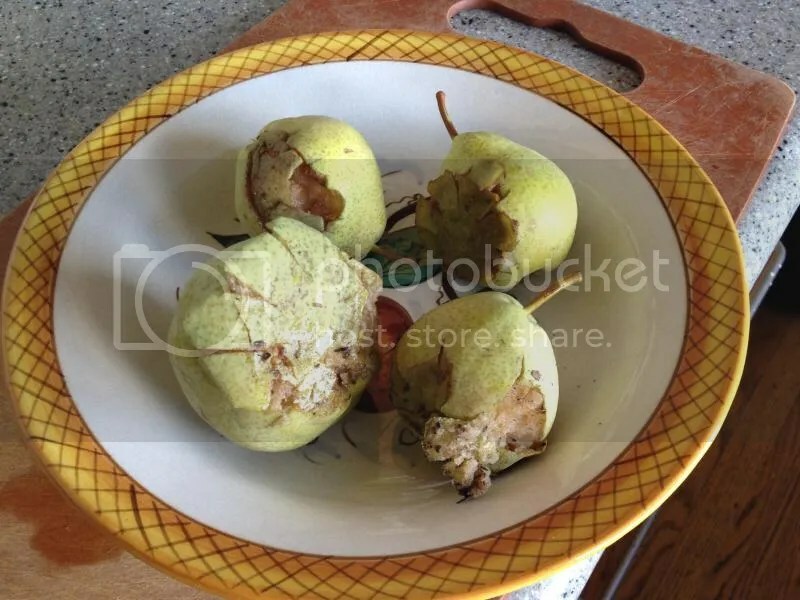 No one harvested these poor pears, leaving them instead to get blown off and smashed to the ground to rot. 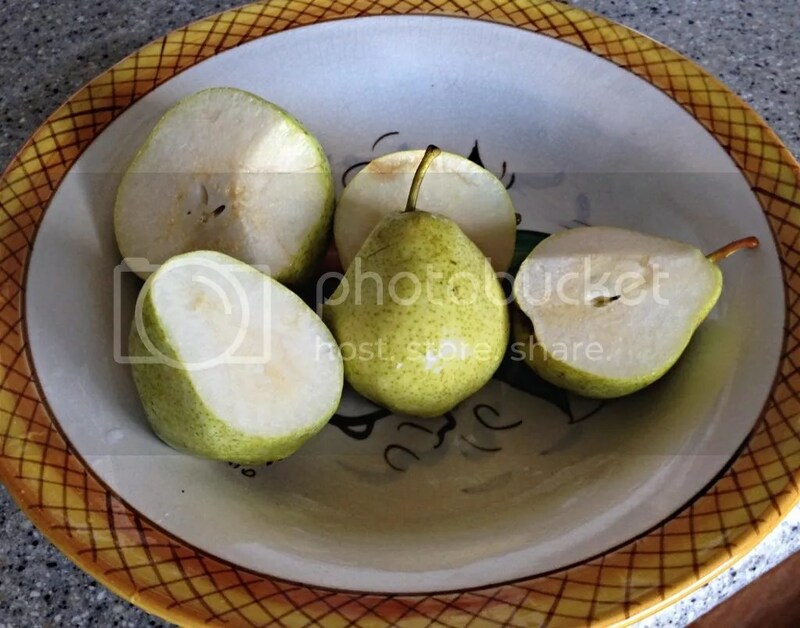 But it only took 30 seconds to slice off the rot and discover some of the best tasting pears I’ve ever had!